Malcolm Turnbull says competition is quintessentially Australian -- and he's right. The kind of competition that involves lots of government handouts, that is. Back in 2011, then-prime minister Julia Gillard decided to use the Sydney Institute's annual nosh-up to attempt to define herself and her government better. 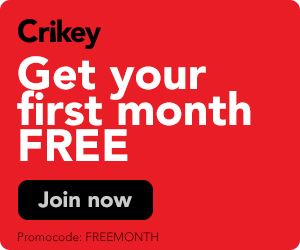 She'd already used an oration in honour of Gough Whitlam that month to outline a peculiar fetishising of manual labour in which, she explained, "we respect the efforts of the brickie and look with a jaundiced eye at the lifestyle of the socialite". When speaking to Gerard Henderson and co, she went further and devoted most of the speech to the "dignity of work"; Gillard appeared eager to define herself as an avatar of a stern, self-punishing obsession with hard yakka. Gillard's problem at that point was that it wasn't very clear exactly what her vision for Australia was, and because Kevin Rudd had deliberately sabotaged her election campaign, she lacked a majority government that would have better enabled her to do so. For a show that suffered from apparently fatal ratings, it sure managed to get people's attention. Hendo has fluffed it ... again. And other media tidbits of the day. 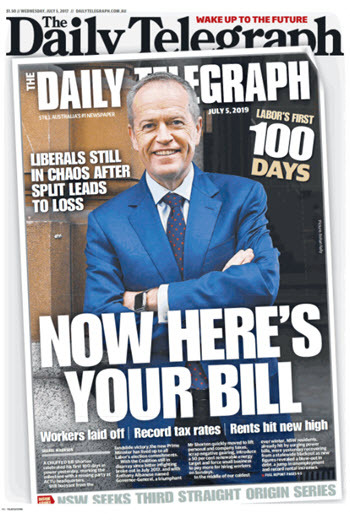 Bill Shorten finally found a Daily Tele front page he likes. And other media tidbits of the day. Gerard Henderson is, among other things, incensed that Christians are being "sneered" at on the public broadcaster.